Two important points need to be made at the outset. One, no one disagrees with President Buhari’s sworn determination to rid this country of the vermin we know as corruption. We have more or less been waging that war since 1966, the onset of the long cold season of military rule. None of us can pretend not to know the damage corruption has done to our country over the years. It has effectively hobbled its development in every sector of the national economy. And that is why the anti-graft war, despite its mixed results, continues to enjoy the support of the generality of Nigerians. Collectively, we feel pained and cheated by those who abused and abuse the system and the trust of the people for their selfish gains. 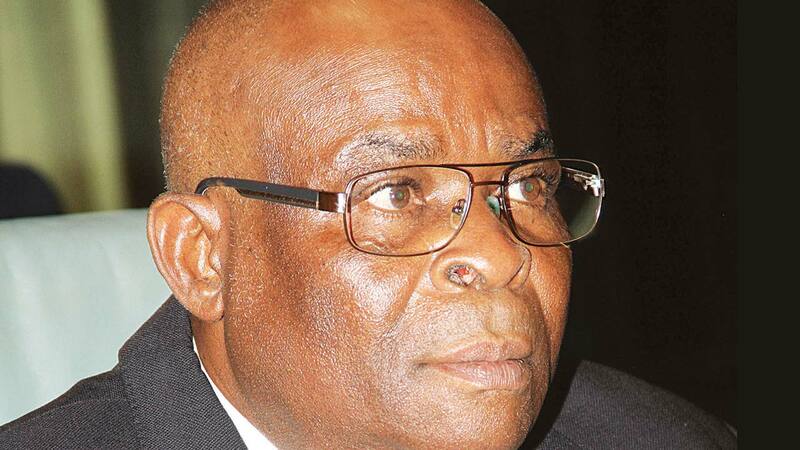 Two, no one is above the law, although we know that it is always unwise to lasso some sacred bulls and cows grazing in our midst; therefore, this column does not contend that the Chief Justice of Nigeria, Mr. Justice Walter Onnoghen, is above the law. Its contention is much more fundamental than that puerile argument. This is about the rule of law and its application in the anti-graft war. This is about the integrity of the war itself. This is about the manner the war is waged. And this is about the protection of our democratic institutions, no matter the exigencies of the war, the weakening of which would damage our democracy. The treatment of the CJN by the Code of Conduct Bureau is rather wretched. And that is putting it politely. Everything about his so-called arraignment on January 14 at the Code of Conduct tribunal on a six-count charge of failing to declare his assets and money laundering points to the only sensible conclusion not a few people have inescapably drawn in the circumstances – and that is that the government or some elements in it want him out. Given the sentiments of the time, it is easy to use corruption as the best option to actualise this agenda because anyone tainted with corruption has a tough time fighting for his survival in public office. It is his word against those of his accusers. But whoever is behind the latest assault on what we hold dear as a country has mishandled it – and badly so. Although the federal government has denied being a party to it, it is the government that has the rotten eggs on its face. Not a pretty sight. 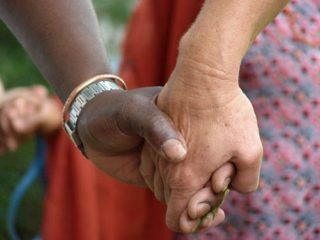 The creation of the three arms that form the whole in our form of government was anchored on the wisdom that separation of powers would enhance good governance and be a bulwark against dictatorial tendencies wired into the DNA of every man. Each of these arms, the executive, the legislature and the judiciary, has prescribed constitutional duties that must be properly performed to keep our democracy humming like a well-oiled engine. If one fails to fully and properly discharge its constitutional responsibilities, our democracy is the poorer for it. Each of the three arms of government is a power house in its own right. None is considered inferior to the others although the executive branch necessarily acts like the most senior partner for obvious reasons. It is the arm of government in the driving seat as the government. The executive powers of the republic are vested in its head. I am not in a position to question the guilt or otherwise of Justice Onnoghen. He may or may not be guilty as charged at the end of the day. That is not important. His fate as a person does not worry me that much beyond my natural inclination to mourn with the mourners. But what happens to him in his exalted position as the head of the judiciary worries me. Since 1975 this country has continued to treat its public officers in a manner that denies them their dignity and smears their good names – all in the name of fighting corruption or righting the wrongs in the society. Perhaps, this is why some people feel there is nothing particularly wrong with Justice Onnoghen’s treatment by CCB despite his exalted office as the number one man on the bench in this country. They are wrong. Everything is wrong with it. As head of the judiciary, he deserves a much better treatment in the hands of his traducers than this very irresponsible and reckless show of authority. There are decent ways to ease such people out of office if they have fallen out of favour with those whose favour is critical to sustaining a public officer in office. In countries with respect for institutions and the rule of law, the man would never have been so publicly humiliated with the imputation of his corruption in his exalted office. He would have been confronted with the facts available to the authorities and quietly given the option of either going quietly or his going being attended by the cymbals and the drums of public denunciation. Those who know these things better than yours sincerely have faulted his arraignment on several legal grounds. To begin with, the civil society, Anti-Corruption and Research Based Data Initiative, that petitioned the CCB does not have the legal authority to obtain the bank details of the CJN from his bank. Only the security agencies permitted by the courts can exercise that authority. For all we know, this could be a shadowy group recruited for the expressed purpose of lighting the fire that would burn the man. This is red light number one. The CCB received the petition on January 7 and only one week later it duly informed the public of its decision to prosecute the CJN. The alacrity with which it acted cannot but be suspect. Red light number two. There is a subsisting court of appeal judgement delivered in 2017 in the case of Justice Hyeladzira Nganijwa that has been ignored in the CCB haste to nail the chief justice. The court ruled that a judicial officer who has not been investigated and indicted by the National Judicial Council could not be arraigned for criminal trial in any court in the country. Such a trial should clearly be at the instance of the council. This is not the case here. Chalk that up as red light number three. Under section 21 of the constitution only the NJC has the powers to remove a serving judge. To put it another way, the president, acting on its recommendation, delivers the final blow. The president cannot rush to the court to remove the CJN either. He must act only and only on the recommendation of the NJC. How did the government get itself into this mess in the first place? It could not be that the battery of senior lawyers at the disposal of the presidency are ignorant of the constitutional provisions and the subsisting appeal court judgement referred to earlier. There is more here than meets the eye. Red light number four. The purpose of the law on declaration of assets by public officers is part of the war on corruption. 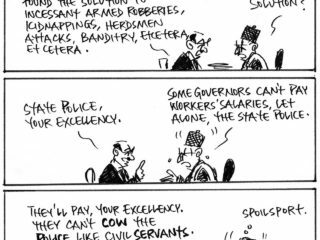 It aims at dissuading public officers from accumulating much more than they can account for with their salaries in public officers. By all means, it should be enforced within the ambits of the laws of the land. Senate President Bukola Saraki faced the same charge on his alleged false declaration of his assets. He walked away a free man from he Supreme Court because the law laughed in the face of his accusers. The fate that befell Saraki and Onnoghen cannot be accepted as evidence that the law is no respecter of persons or that the anti-graft war is succeeding. It is more of an indication that something has gone badly wrong with the war itself. I find it disturbing that despite Justice Kutigi’s advice to the anti-graft bodies to prosecute on the basis of evidence rather than on the basis of investigation they still choose to carry on the way the way they have been doing. 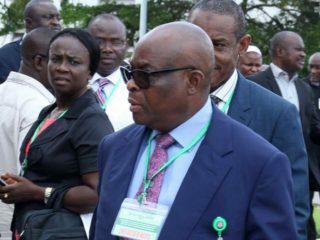 Did any one bother to hear Onnoghen’s explanation for the money in his account?